Happy New Year! It’s never too late to say it. New year new me, that’s what we say, so should we expect something new in the hotel industry in 2018? First, a new year doesn’t mean you have to change completely your hotel but a touch of freshness is always nice, changing the colour of a room, adding new decorations…What you should be always looking for is not to be outdated, this is really important. 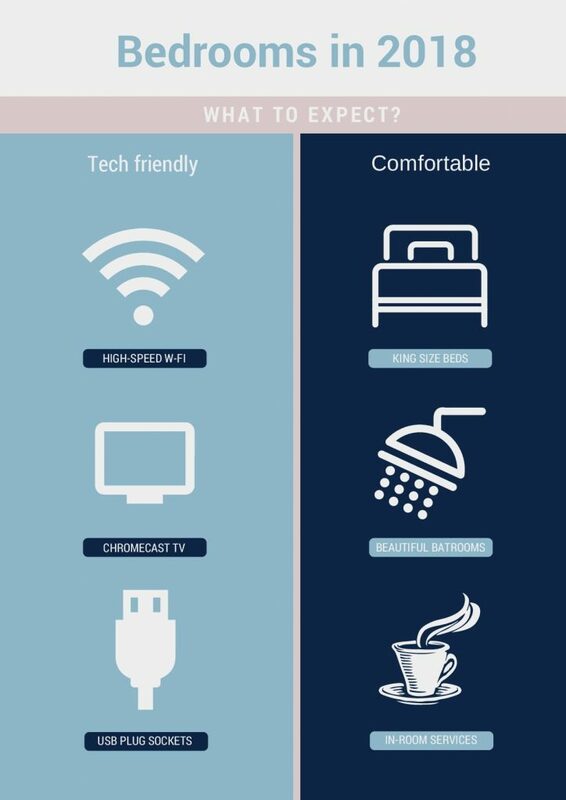 Guests are looking for comfort and calm but they also like to remain connected to social media and appreciates a tech-friendly environment. This is maybe a new year but the expectations of the guests are not different from last year, however, they are different from 10 years ago and we have to take this into consideration. Whatever you do there will always be expectations from the guests and our duty is to make their stay better than what they expected. Here at The Davenport hotel, we are always looking for perfection, that’s why we are refurbishing the hotel, to create a unique experience in the city centre of Dublin. O’Callaghan Davenport Hotel Dublin, Ireland – Offers 103 luminous bedrooms, 10 spacious junior suites and 2 gorgeous one-bedroom suites. 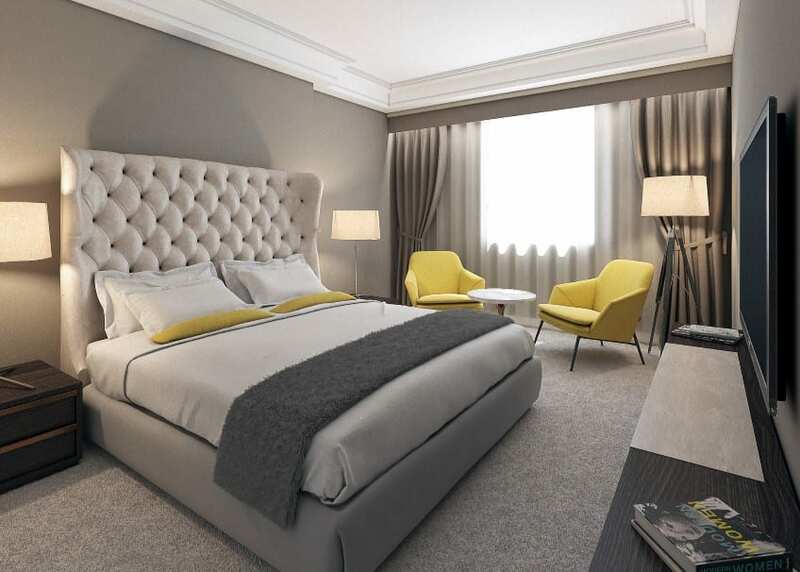 There will be a new reception, a new restaurant, new meeting rooms and last but not least brand-new bedrooms. Having gorgeous, bespoke and tech-friendly bedrooms was our main idea because we wanted the guests to have all they need or want without asking for. What does it really mean? What can be found in a bedroom of The Davenport? A Chromecast flat screen TV. The comfort is essential in a hotel bedroom so we have selected the best mattresses to fit with the king size beds and topped it with Foxford blankets. In the bathroom, you will find a walk-in rain shower garnished with high-end toiletries. What makes people choose a hotel rather than renting a place is also for the in-room services that you can’t get if you are not in a hotel (breakfast in bed, laundry,…) and our in-room services at The Davenport hotel were thought to satisfy your needs. Our dedicated team will also be happy to customise your bedroom for a special occasion like an anniversary, a honeymoon or anything else you want. Have a look at the new style of our bedrooms and tell us what you think of it.